Harlem, NY- Self care is a practice we all need to further explore and embrace. Dana of 'Essentially Dana' and the CEO of Cocotique reminded us all of that a few Sundays back in Harlem. 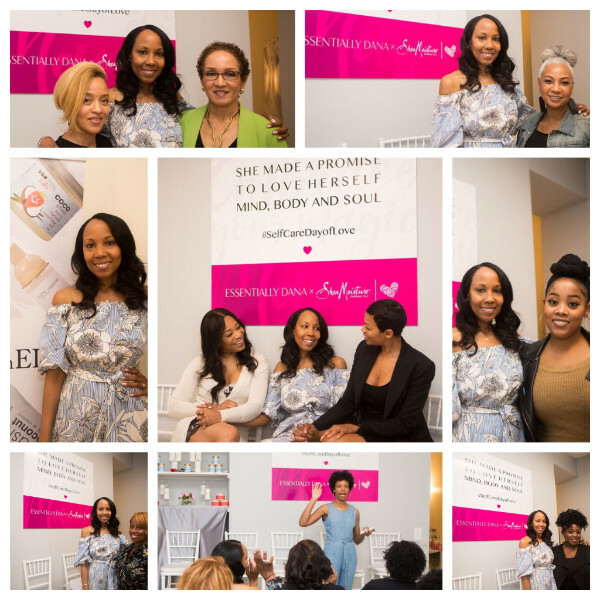 Hand picked guest of Dana's gathered at the Harlem Skin & Laser Clinic to experience an eye opening panel discussion from experts on ways to enhance your self care routine. Harlem, NY- Self care is a practice we all need to further explore and embrace. Dana of ‘Essentially Dana‘ and the CEO of Cocotique reminded us all of that a few Sundays back in Harlem. 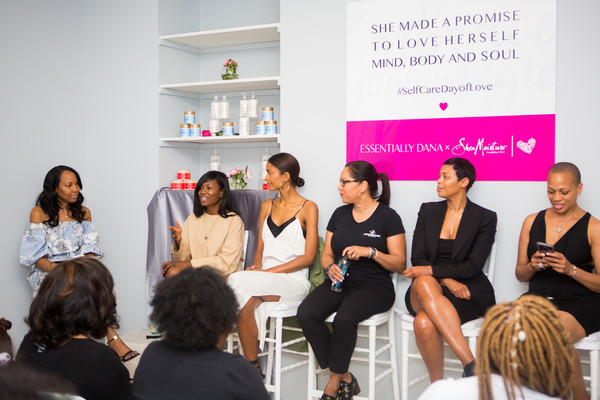 Hand picked guest of Dana’s gathered at the Harlem Skin & Laser Clinic to experience an eye opening panel discussion from experts on ways to enhance your self care routine. The guest panel featured Michelle Mitchum (Founder of The OrangeMoon), Raeven Western (Certified Life Coach & Self-Love Advocate),Jacquelyn Quattro (Founder/CEO, Jersey Shore Cosmetics), Angelique Miles(Wellness/Fitness Influencer), and Seven Brown (Skin Care & Beauty Expert/Owner Harlem Skin & Laser Clinic), on how to incorporate self-care and self-love into your lives. GG Renee Hill (Self-Care/Wellness Author) hosted a self-care writing workshop on how to use writing as a self-care practice to cultivate inner peace. Immediately following the panel discussions guests chatted over light bites and lemonade while shopping from vendors such as Eden Body Works, Shea Moisture, Jersey Shore Cosmetics, and derm HA. The concluding session was a writing session lead by GG Renee. She challenged us to write down and share some of our conflicting thoughts we may experience daily. Afterwards we wrote a self care letter addressed to our selves and gave them to Dana who laser mailed them out to us. This served as a reminder to put our selves first. Start each day with meditation and a grateful heart. Speak positive affirmations about yourself. Remove people and situations from your life that don’t bring you joy. Learn to say “No” and own it. Learn to say “Yes” and own it. Say what’s in your heart, not what you think people want to hear. Don’t be afraid to step out of your comfort zone.